I have some great friends and one of them brought me along as her plus one to FINALLY visit the world of Harry Potter. It’s one of those things that i’d been meaning to do for years but just never got around to doing it. So when she asked me if I wanted to come I jumped at the chance. Not only that but we went to the preview of Hogwarts in the Snow! Warner Bros studios have covered Hogwarts in snow and also have decorated the Great Hall for the festive season. It looked just like the Yule Ball. I’m not going to lie. I turned into a big kid, from the moment they opened up the doors of the Great Hall to posing for a wanted wizards photo. I feel like with my generation especially, Harry Potter is definitely something that I grew up with. I remember being around 11 when I first read the Philosopher’s Stone. And then as I got older, I remember queueing at 6am for Waterstones to open so I could get my hands on the Goblet of Fire. So anything to do with Harry Potter just makes me incredibly happy! Throughout the evening there were tasty drinks and snacks on offer and I even got to try a bit of Butterbeer. I’ll be honest – I didn’t like it at all! It was strange to see so many things from the movies including the costumes – I couldn’t believe how small Emma Watson really is! Because Hogwarts has a Christmas theme at the moment, every small recreation of the set was decked out for the festive season including the common room. Last summer Warner Bros also added the Forbidden Forest which was creepy! In the middle of the forest, you come across the giant spiders. You can even press buttons to make it windy and also thunder! While in the Forbidden Forest we met other people who had joined the tour including Zoella and Aflie. 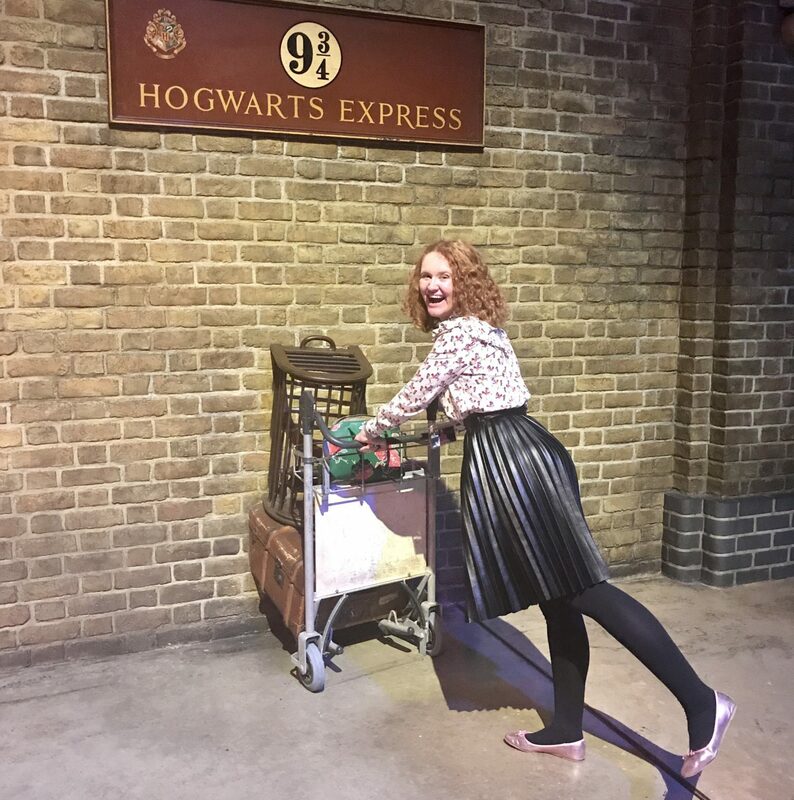 Before visiting the studios, I tried not to read anything about it to give myself the ultimate surprise and so when I came across Privet Drive and the Knight Bus together I was so excited and of course had to pose for photos. I mean I had to right?! And when I thought I had seen the best, we got to Diagon Alley and it was an absolute dream! I think my favourite parts were definitely the sets. I enjoyed seeing the small miniature models and the design process but nothing honestly beats being able to feel like you’re walking through the movie. Being the big Harry Potter fan that I am, I absolutely loved it but even if you’re not a massive fan it’s good to visit and see how much detail goes into making films like these. It always amazes me how one person can come up with such an incredible story like Harry Potter. And seeing the sets and efforts that go into the movies backed that up. Before we knew it, it was time to leave so we grabbed a few extras in the gift shop and headed back to the real muggle world. Hogwarts in the Snow is open until January 28.